More Adventure. More Surprise. More Bite. 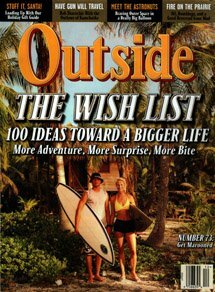 Our Water Sports Center at Long Caye, Glover’s Reef (actually, that’s our composting toilet) was featured on the cover of Outside Magazine’s December 1998 issue!